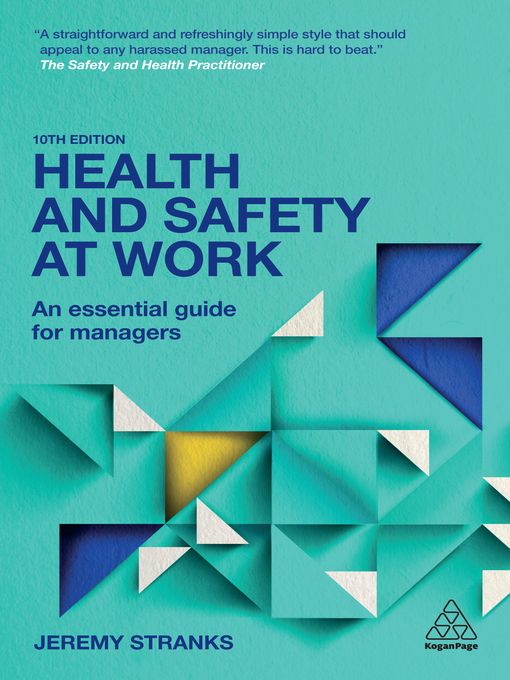 This practical guide for employers in the UK continues to provide managers with the essential advice on how to establish health and safety procedures in organizations. Written in jargon-free language, Health and Safety at Work cuts through the legal complexities to enable you to fully understand the law and its implications for your business. Filled with expert knowledge and written in an accessible style, this book equips you with the legal and practical knowledge you need to protect your employees and your business. This 10th Edition of the indispensable guide, Health and Safety at Work, has been updated to comply with all recent changes and additions to Health and Safety law including The Reporting of Injuries, Diseases and Dangerous Occurrences Regulations 2013, The Construction (Design and Management) Regulations 2015 and increased legislation and prioritisation of issues of stress at work. This new edition also comes with downloadable online resources and templates that you can use in your business.